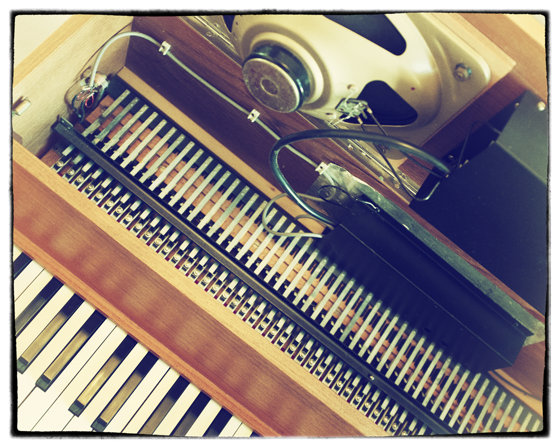 Electric pianos are just the coolest things: whether it’s the bark of a Wurli or the soulful drive of a suitcase Rhodes, we just love our EPs, and there’s hardly a musical genre out there in which they haven’t played a key part (ha… no pun intended.) But as usual, the ones that come built-in to most DAWs are a little on the polite side. We’ve decided to fix that. Prototype EP sounds like the electric equivalent of one of those bare-bones honkytonk pianos you might have found gracing the parlour of a frontier whorehouse back in the nineteenth century: erratic, raucous, badly-behaved, temperamental. The tuning is far from perfect (or stable); note-to-note buzzes, squeaks and rattles are all present and [in]correct; the clicks, ticks, scrapes and thunks that accompany the plectra dropping back into position have all been meticulously reproduced; and the result is definitely not polite any more. In short, don’t try to play a DX7 power ballad on this thing… but if you want to rock a bit of the Stones’ Brown Sugar you won’t go far wrong. 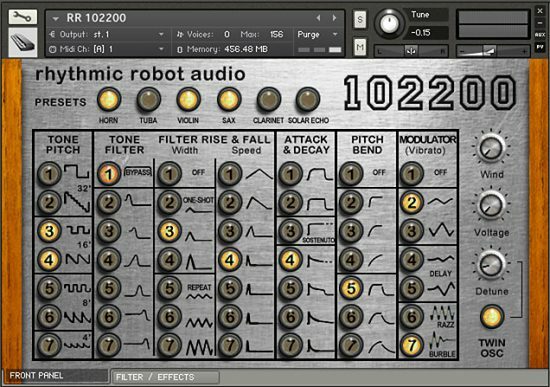 We’ve included some simple but powerful controls that allow you to create quite different moods with the base machine: Tilt EQ alters the balance of the tone from bass-heavy to tinkly and bright; Tube dials in some saturation for a nicely overdriven snarl; Sustain blends in a synthesised sustain tail that extends the notes rather nicely (and can be detuned if you wish, for a thicker sound). There’s also the vital Tremolo control, and Response simply allows the instrument to respond to velocity with lou der and brighter tones, or – if you switch it off – keeps true to the original Claviset-style delivery. The various velocity layers that Response accesses were created by multisampling the hardware board at different settings of its onboard Tone control, so there’s a very organic transition from warm and mellow to bright and metallic; the various layers and round-robins we’ve employed also help the whole thing to breathe and behave in a suitably unpredictable way. Round the back you’ve got some useful Effects, of which we warmly recommend a touch of reverb and chorus and have been happily surprised by how good the thing sounds through the rotary speaker, too. The demo outlines a few of these options, from straightforward gritty blues-rock grind to strangely swooshy (but still characterful) blissout. The jazz segment at the end of the demo shows what Prototype EP sounds like layered with Logic’s own built-in electric piano – this, we think, works really well for giving the familiar Rhodes tonality of Logic’s offering a hefty dose of beat-up, rattly, real-world vibe. 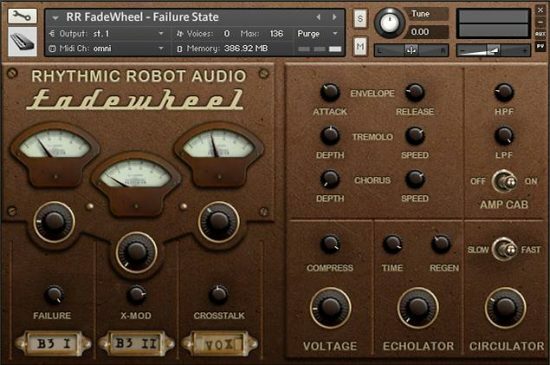 In this way, Prototype EP does for EPs rather what FadeWheel does for organs – roughs them up and makes them dirty! If all you’re looking for from an electric piano is smooth Autotuned ballads, you probably don’t need this. 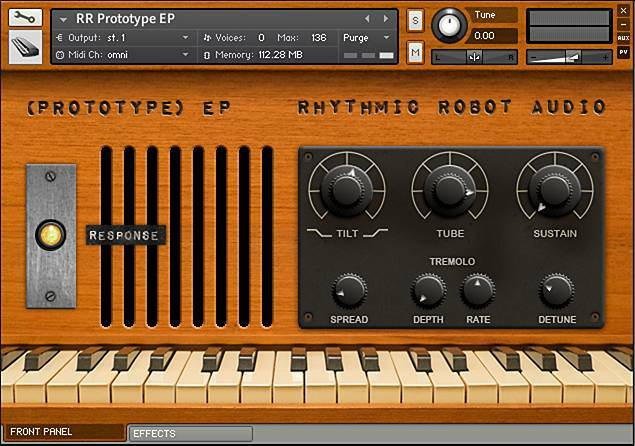 But if your tastes drift into rock, roots, blues, bluegrass, folk, even reggae or early Motown-style soul, Prototype EP could be the secret weapon you need to give your keyboard parts a bit of grimy, authentic mojo. Very “Plinky” i find it has a less full sound than other Electric pianos in my Kontakt collection – that said the sound is rather unique and quirky, it sits in nicely in the mix (as it doesn’t to my ears dominate – it compliments a vocal line with out taking over) – of course it may perhaps it is the way i use it but i like using this as a backing instrument, i also find that it actually sounds rather realistic it has a kind of calculated error to its sound it adds something organic and “real” – perhaps it is just entropy man!! 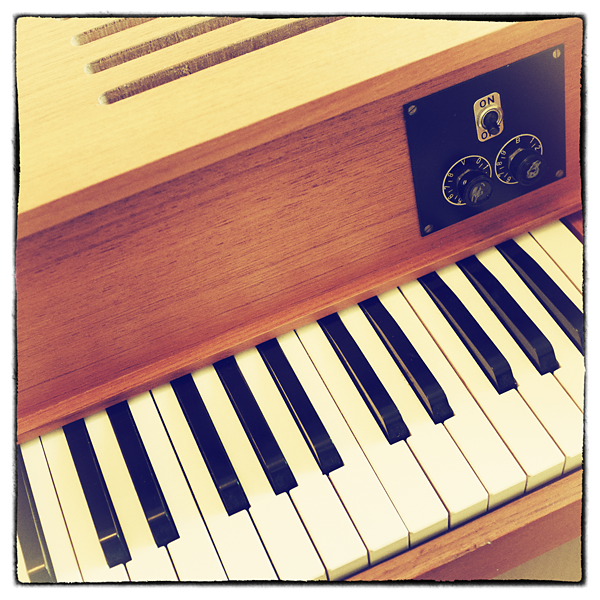 I am an electric piano nut and recently I was actually considering purchasing a physical Weltmeister Claviset, as if a Rhodes and a Clavinet D6 were not taking up enough space in my flat already. Imagine my delight when I have learned that RR have made a Claviset – to my knowledge this is the first high quality Kontakt library of this instrument.As expected from RR the library sounds very true to the original instrument, the velocity sensitivity is a welcome addition and the built in effects allow you to give an extra color to the sound – especially the rotary sounds pretty cool. If you want more coloring I have found a few nice tricks. Layering a few detuned instances of the Prototype EP creates a more traditional shimmering e-piano sound. If you use an amp-sim with some cranked up Twin Reverb style amp on the output the piano gets a nice bass sound. High gain amps give some interesting results on the higher notes, however they also bring out the aliasing noises on the decay tail. Last but not least, Prototype EP sounds great (in a noisy way) layered with RR Spark Gap. One thing to note is that, through no fault of RR, Weltmeister Clavisets just do not have a particularly “production-friendly” sound. The plonks have rather short and weak sustain, making the whole instrument sound quiet. Paired with louder instruments the Prototype EP has a tendency to drown in the mix and it will probably be difficult to make it cut through in, say, a Hardstyle track. Although again – that is the general problem with Clavisets and not with this library in particular. I use the Prototype on quieter songs. The little thunks are delightful. Not quite identifiable. 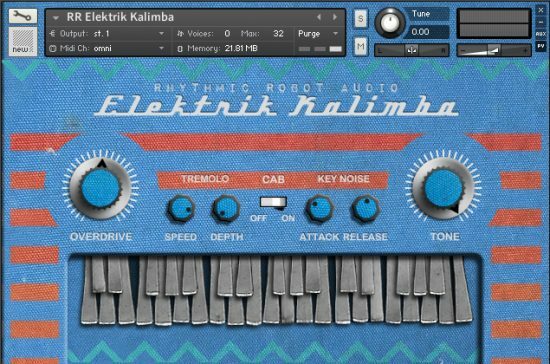 This is a fun gnarly keyboard in a class of its own–a nice detour from the usual Wurly, Rhodes, Hohner sample libraries. While this keyboard would sit nicely in a reggae or funk song, it could also provide the romantic soundtrack to Erich Honecker’s and Leonid Brezhnev’s passionate kiss. I think mine is overheating? Is that normal? This sounds filthy and borked. Just like it should. Five Stars! ! ! 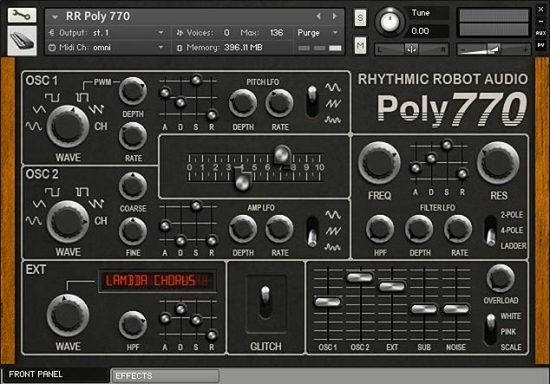 €25.00 plus VAT Hybrid poly-analogue monster synth!